General Motors said Friday that it is boosting production capacity for its new Chevrolet Volt due to strong public interest in the electric car that goes on sale this year. GM will now have a production capacity of 45,000 vehicles in 2012, up from previous plans for 30,000 vehicles. The automaker made the announcement as President Barack Obama toured the Volt production facility in Detroit. The federal government sank $50 billion into GM as part of the broader rescue of the auto industry, giving taxpayers a majority stake in the nation's largest auto company. The Volt, priced at $41,000, can go 340 miles on a single battery charge, according to GM. The vehicle is powered purely by the battery in the first 40 miles, and then uses a small tank of gasoline to create an additional charge for the remaining 300 miles. 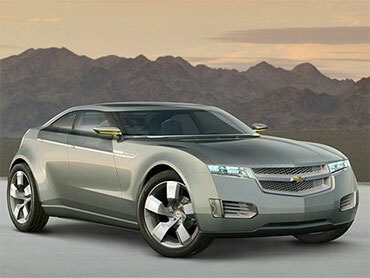 Chevrolet dealers began taking orders this week for the 2011 model. GM recently raised the number of launch markets for the Volt from three to seven.